One of my friends once called Tenerife the pensioner’s paradise. But that is clearly wrong. 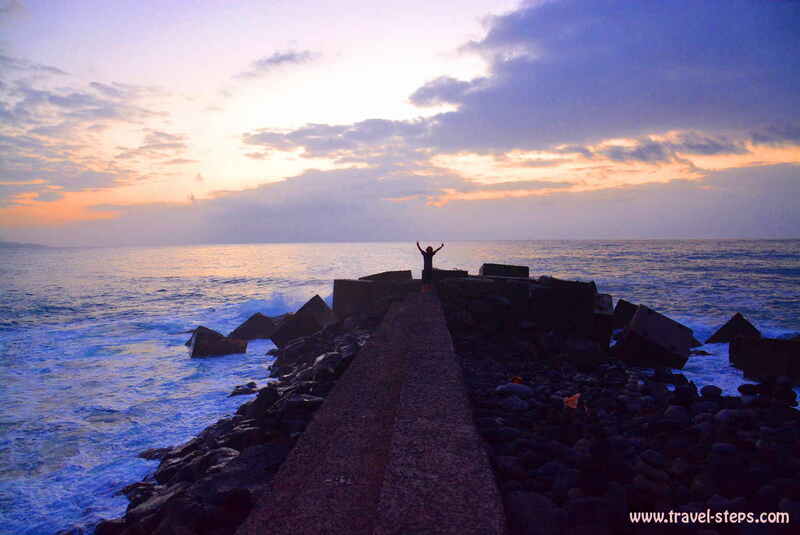 The biggest of the seven Canary Islands Tenerife offered me one of the most beautiful weeks while backpacking Tenerife. And being in my thirties and not completely insane, I can recommend Tenerife for backpacking and traveling for travelers of all ages, who love to hike, to swim, to watch dolphins, to drink great cheap mojitos and to enjoy life. Tenerife is one of the destinations, where you wouldn’t even get bored doing a package holiday by yourself as long as you base yourself in a location with a acceptable bus connection or a cheap rental car service. There is a lot of stuff to do, that you can reach by public transport. 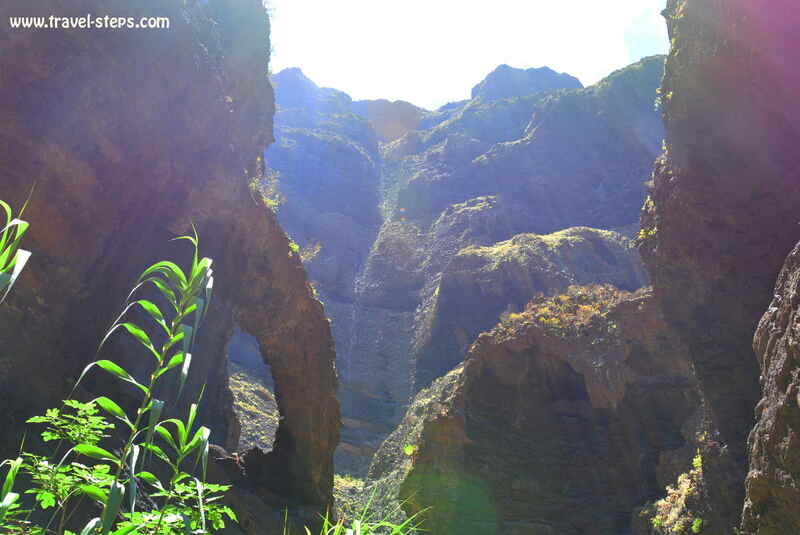 The famous Masca Gorge on Tenerife is just one of the highlights waiting. And it is not the only place for a fantastic hike. Tenerife is more to it than just all-inclusive-hotels set around the beaches. But if you are looking for adventures and want to feel your adrenaline flow or party hard at white sandy beaches with lot’s of young hip travelers, maybe better choose a different destination. Tenerife is a place, where you can easily travel on your own. It’s perfectly safe for solo travelers. 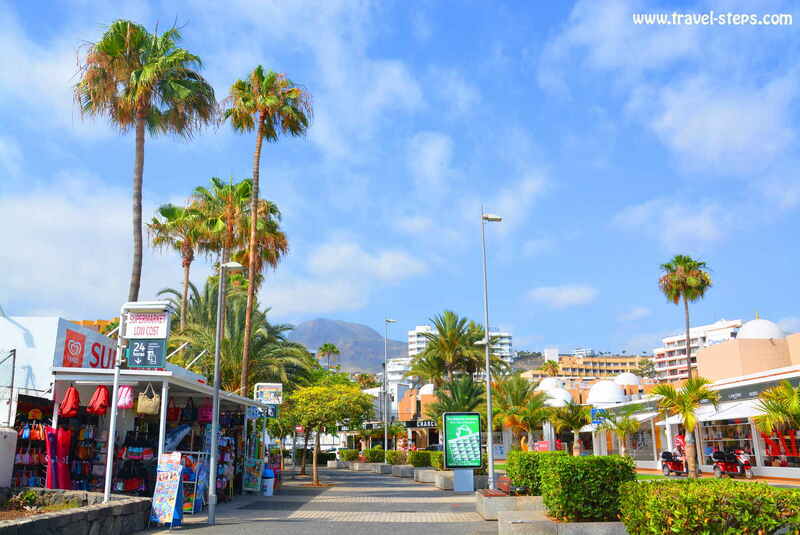 For our travels around Tenerife, we based ourselves in a nice city accommodation Hotel Marte in Puerto de la Cruz and decided to discover the island by bus and rental car. The busses are cheap enough and go almost everywhere you want. You are able to save money with a bus Bono Card valid 15 or 25 Euros. You buy the card and use the money on it for your bus rides. One card can be used by two or more people. How you save the money? With the Bono Card, you pay less for each trip. Tenerife belongs geographically to Africa. The warm temperatures nearly all year round – especially in the south of the island – make it a great relaxed traveler’s destination. The interesting thing: Tenerife is not as expensive as travelers might think. It clearly depends on where you stay and how you do things. But even for independent budget travelers, Tenerife is a good option. 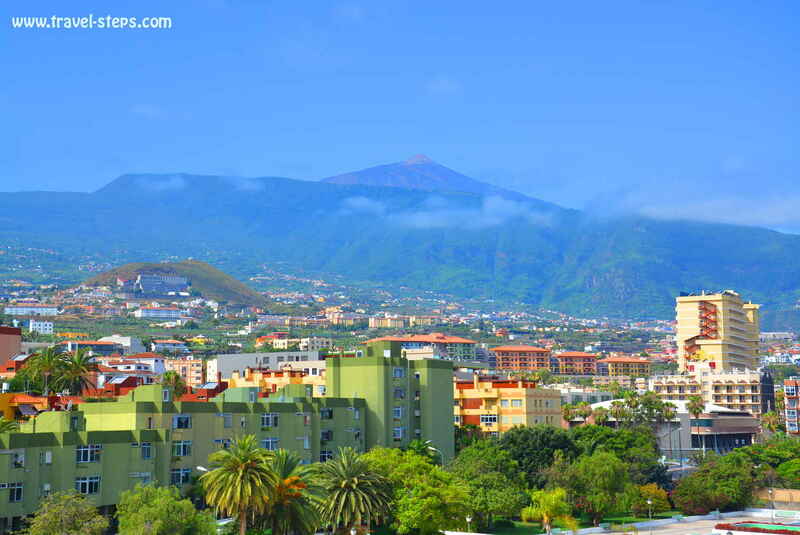 Holidays on Tenerife are enjoyable for independent travelers, backpackers and package holiday makers at the same time. Double rooms on Tenerife are online available for even less than 30 Euros a night. It’s also worth to check out Last-minute-deals from Europe including flights and accommodation. Nearly all cafes and restaurants offer free wi-fi. If you travel as a couple to Tenerife and don’t plan to take each meal in a restaurant, it is definitely possible to enjoy a budget trip on 40 Euros per person per day including sleeping, food and public transport. But yes, in that case, you have to look around a bit for good deals. To be honest: At my first evening in Puerto de la Cruz watching the big concrete hotels from an old town city hotel rooftop, I wanted to cry. I found it slightly problematic, that you feel being a tourist on Tenerife when you stay in one of the bigger holiday hot spots. There, you feel very much, that you are not the first person discovering the Canary paradise. Some of the hotels in the distance even looked a bit shabby and run down as if they had seen better times in the 1980s. I was asking myself at first: What had I spent my money for? For a backpacking trip to concrete tourist hell? There seemed to be buildings everywhere. Moreover, it was very cloudy as usually on the northern side of Tenerife. There was no promised view on the Teide volcano. The beautiful volcano was hiding behind a white carpet of clouds. And there were a few days, when I wasn’t too happy about the city beach Playa Jardin in Puerto de la Cruz. There were so many rocks in the water and the massive waves threatened to kill me with their strength. At first, I wanted to leave…. But this feeling vanished quickly. I just needed a little bit of time. Even if some parts of Tenerife might have lost their paradise Island atmosphere because of large numbers of concrete hotels built into the old towns and around some popular beaches, the big advantage of Puerto de la Cruz is, that you can meet lovely locals. 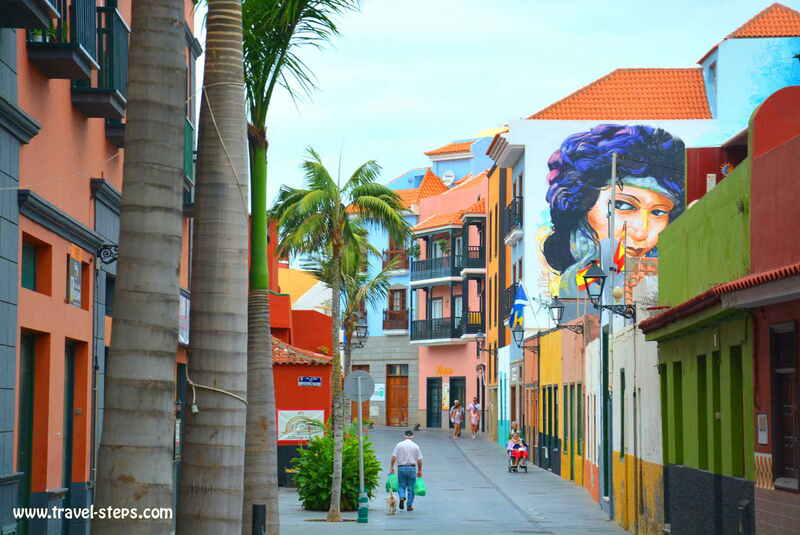 I quickly discovered the charming old town of Puerto de la Cruz, the nice authentic Canary cafe bars with their old and charismatic waiters next to our Hotel Marte, the good Mojitos. I met the funny and friendly hotel staff, I tasted the olives and Mojo. And I understood, that staying in Puerto de la Cruz means also meeting the locals, having lush green scenery around and having a perfect base for discovering the island without too many package holiday tourists around. The rental car rates in Puerto de la Cruz started at 25 Euros per day. We paid 40 Euros for two days. It’s well worth to ask at your hote for a good car rental company and to bargain! There are very often discounts possible, especially if you are not traveling in the high season. Petrol is dead cheap as well and the island small enough be surrounded by car in a few hours. I found the locals on Tenerife being very careful drivers. The signs for directions might be slightly confusing sometimes, but except the very curvy mountain roads driving should not be a problem even for insecure drivers. Because of the small distances and great bus connections, it is also possible to go travel around the island and stay at different places each day. The trip through Masca Gorge on Tenerife to the unique natural Masca Beach was one of the most impressing little hikes that I made in my life. It’s honestly gorgeous and challenging at the same time. Since my trip to Tenerife had been a quite spontaneous journey, I haven’t read a lot of travel guide information before I went there. So I had no idea about what to expect after everyone from Tenerife suggested me to go to Masca Gorge. And yes, there were some more tourists hiking through Masca Gorge. Even tour groups of all ages. But it was really worth it. The hike starts in the mountain village in Masca. There are some small cafés to get some drinks and meals before you start the hike. We had a cactus juice in a café with an amazing view. This is the very last option to buy yourself some food and water for the hike. You won’t find any shops or restaurants at all on the hike. Then, we started the walk. The air was very fresh, when we started the hike in Masca. But it got warmer and warmer during the day. At some point, we were happy, that we had sunscreen with us. After a while, we were honestly sweating our way down to Masca Beach, which is just accessible through the gorge or by boat. The sun was baking us. It was not the most easy hike. We had to climb a little bit and sometimes to be creative finding the way. The hike through Masca Gorge is nothing, I would recommend to my slightly unfit grandmother. But to everyone else, who wants to feel some adrenaline within a breathtaking scenery. You don’t need to be a sportsman, but don’t completely underestimate the trip. We really did. We didn’t even take a warm jumper for the cold temperatures in the Masca mountain village. We felt really stupid being the only ones freezing in the bus. We were happy, that the guy at the reception had told us to take at least hiking shoes. At least some closed shoes. We just had old trainers. But that worked. We needed them so much! Don’t go in flip-flops! What to do in the Masca Gorge: Hike and enjoy the gorge, take swims in tiny lakes under waterfalls, get overwhelmed by the beauty of the hills and rock formations above your heads. 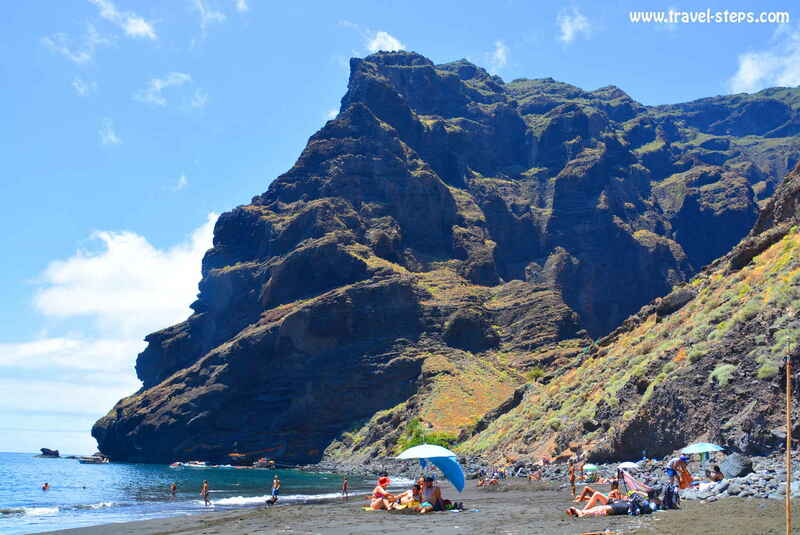 Listen to the sounds of the birds and be happy to arrive at Masca Beach after two to four hours. There you can take a swim at the most beautiful hidden beaches in Tenerife. The best way to get to Masca Gorge is by public transport. The reason for that is, that it is not a round trip. 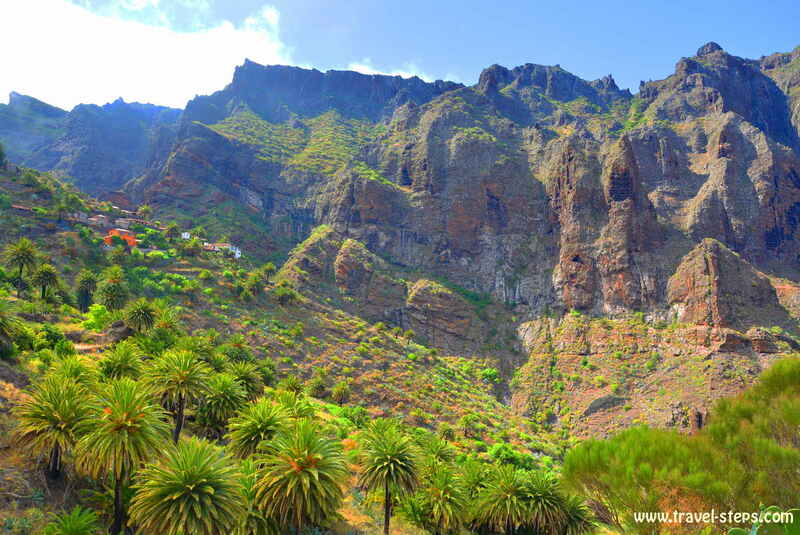 The hike starts in Masca and usually ends at Masca beach, from where you can take a tourist boat to Los Gigantes. Believe me: You really don’t want to climb up all the way back to Masca village. So go by bus to Masca! From cities like Puerto de la Cruz, there are public bus connections. You just have to switch buses once in Buenavista. You will get all information about it at each bus station ticket counter since it is a tourist hot spot. We tried to be early before most tourist groups arrive! Important: Make sure, that you get the connecting bus to Masca, which is not running very often. From Masca beach it is possible to catch a boat to Los Gigantes, from where you have buses going to all directions of Tenerife. The tickets for the boats cost 10 Euros and are available in the village of Masca. There are at least two companies doing the trip. They are more or less the same. It is recommended to buy it before you start the hike. But we also saw a lot of people paying directly at the boat. And it is worth taking the boat. 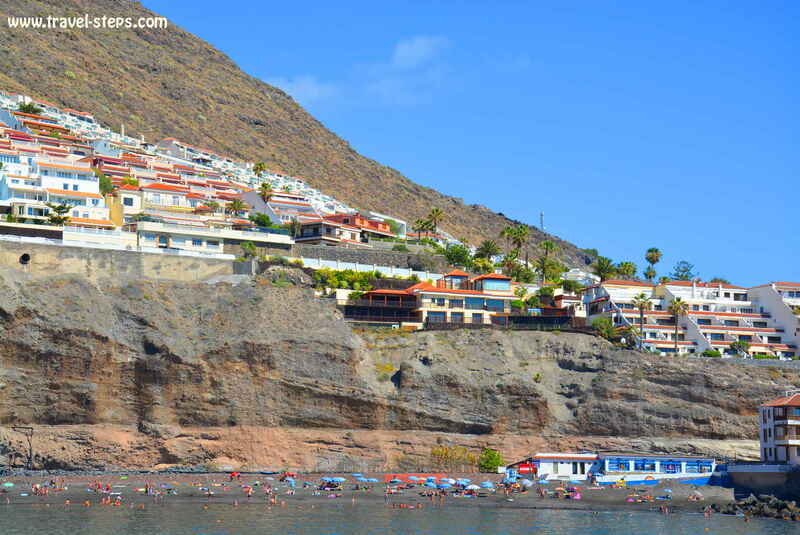 It takes around 20 minutes from Masca Beach to the harbor of Los Gigantes. We had dolphins jumping and swimming next to the boat while having a beer on deck in the evening sun. It was amazing. From Los Gigantes bus station, you can take a bus back to your accommodation. Get the timetable for the bus from Puerto de la Cruz to Buenavista line 363. Get the timetable for the bus from Buenavista to Masca line 355. 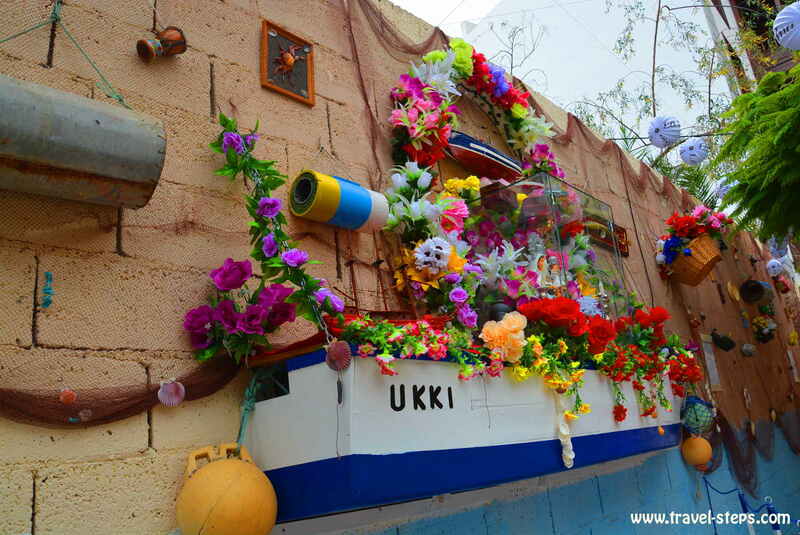 If you think about staying in Los Gigantes and just travel on a low-budget: Think twice! 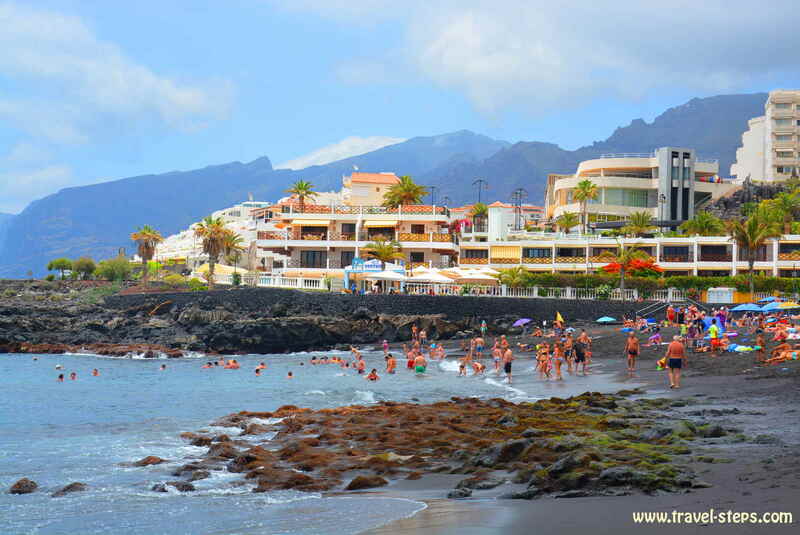 Los Gigantes is a nice town with beautiful busy beaches like Playa de la Arena. But clearly not the place to hang out long-term on a low-budget. Los Gigantes is probably a bit nicer, more exclusive and has less hotel towers than some other places at Tenerife. But that certainly has its price. Still, it is nice to stopover at the beach or watch the surrounding cliffs. But when I asked a random taxi driver after the trip from the Masca Gorge to recommend me a good a cheap local restaurant close to the harbor, he started to laugh. “Not here. It’s all made up for the tourists”, he said. 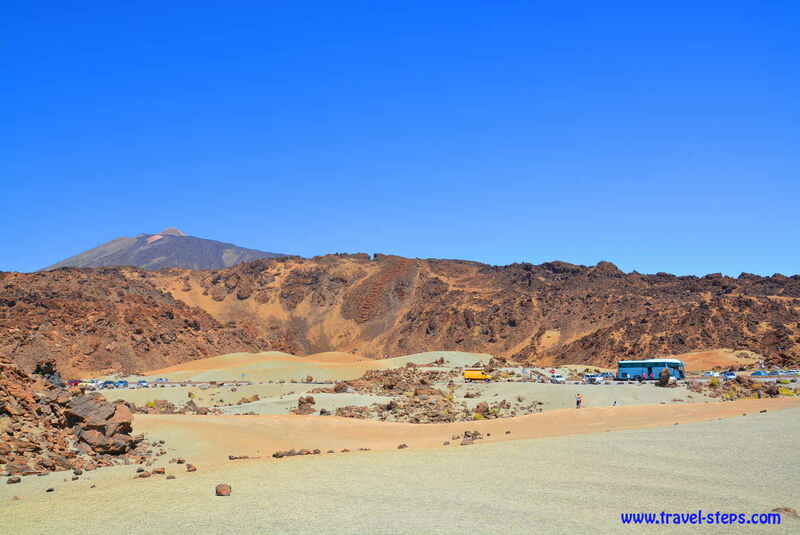 The Teide volcano as part of the Unesco World Heritage List is definitely the highlight of Tenerife. It watches the island and fascinates with its big fat beauty. I could hardly stop taking pictures and smiling. It is possible to get up there to one of the highest view points and the cable car to the top by public bus. But already with two people, it is worth renting a car for a day to be far more flexible and to be able to get off the car in desert like landscapes, that surround the volcano. The area offers great photo opportunities. Passing through the thick layer of clouds was essential to understand the volcano’s beauty. And there are many options and starting points for hiking on the way up to the top. The tourist information for example in Puerto de la Cruz will offer great help and inspirations before the trip. 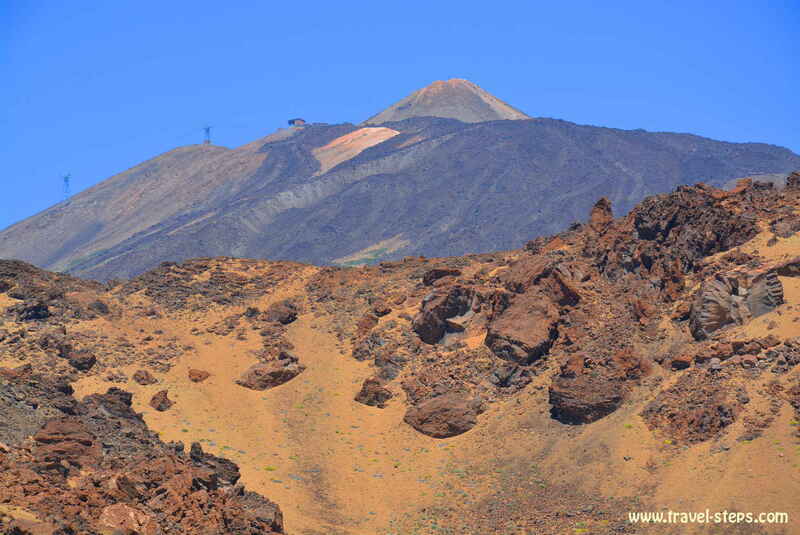 There is a cable car going up to the end of Teide. The price was 27 Euros return for a non-resident adult and the place was anything else but exclusive. A lot of tourists around, cars and queues. That’s why we didn’t go up there. For us, it was a perfect day even without having made it to the very top. And luckily, there are no entrance fees or parking fees inside the National Park. Nature in Tenerife is still everywhere for free. Las Teresitas is the city beach of Tenerife’s capital Santa Cruz. 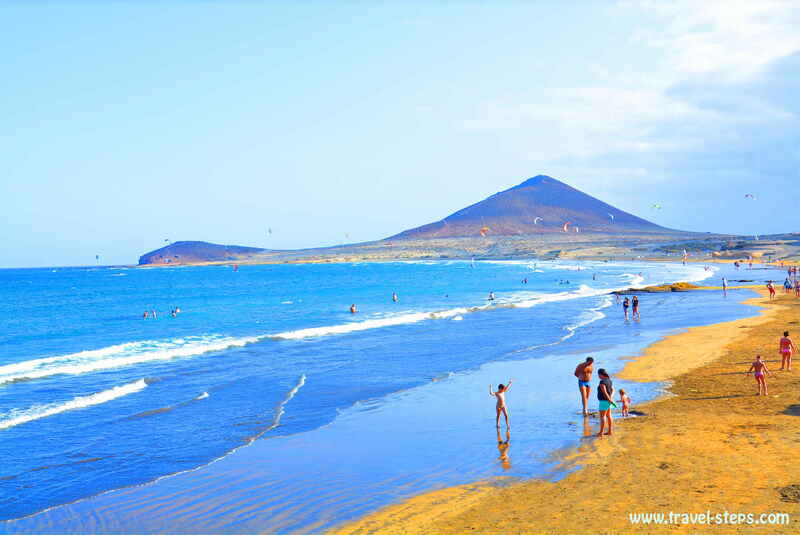 It’s one of the most beautiful easily accessible beaches in Tenerife. It’s really beautiful. It wasn’t overcrowded, when we were there. And there seemed to be more locals than tourists around. At least, you hear a lot of Spanish. The water was crystal clear and warm, no rocks and stones in the water. The beach is made of white sand, shipped over from the Sahara in 1973 to cover up the dark volcanic sand. Between palm trees, you find some beach bars. I loved Las Teresitas Beach despite of the large car park behind. Despite of the fake guard at the car park, who had put himself in fake official clothes to charge some money for parking. That is a big scam. Parking is for free at the Las Teresitas Beach. To my surprise, parking was for free in all public places in Tenerife. I never had to pay except to that greedy idiot at Las Teresitas beach. And across the street from the car park, you find even some cheap restaurants for hamburgers and fresh juices after swimming. It is definitely worth checking out this beach. Santa Cruz itself? We kind of skipped the capital, because we were not able to find a place to park our car inside the city. It was ridiculous. And so we cruised around the city for half an hour until we unintentionally followed a seemingly never-ending one way street, that took us out of the city again. We didn’t miss a lot, I guess. 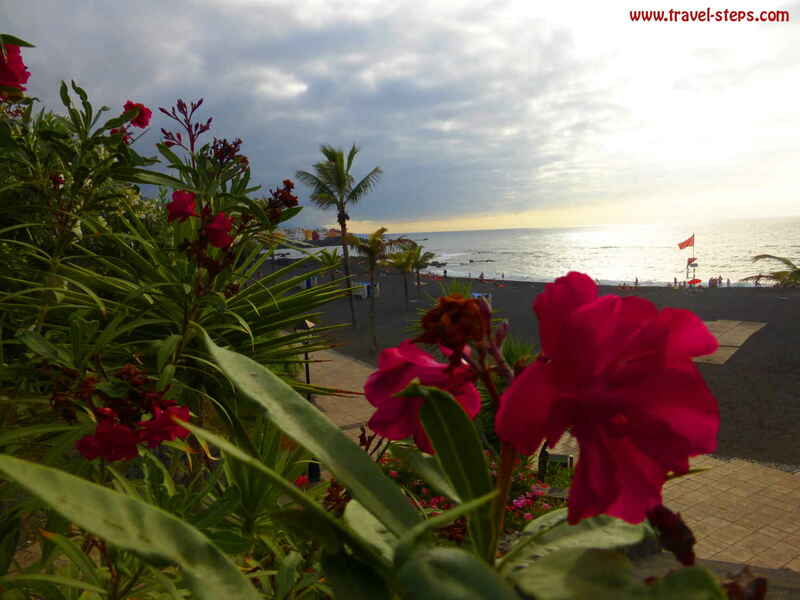 From the beach Las Teresitas, it is worth following the street up to the Anaga Mountains. Well, just as long as you have a full tank and are a good driver with good nerves. I’m not. For me, it was a nightmare to drive up the Serpentine road into the National park. I didn’t manage to drive to the top with my rental car roaring like an elk up the steep roads, that didn’t allow any overtaking or turning. I nearly cried behind the wheel. But at least my partner enjoyed the views. Kite Surfers, hippies, young travelers, active people, holiday makers, they all mingle in El Médano. A beach and a town in a desert like landscape in the South of the Island. It also had the best waves for swimming, when we were there. There were no stones in the water, which made it great fun to swim there. 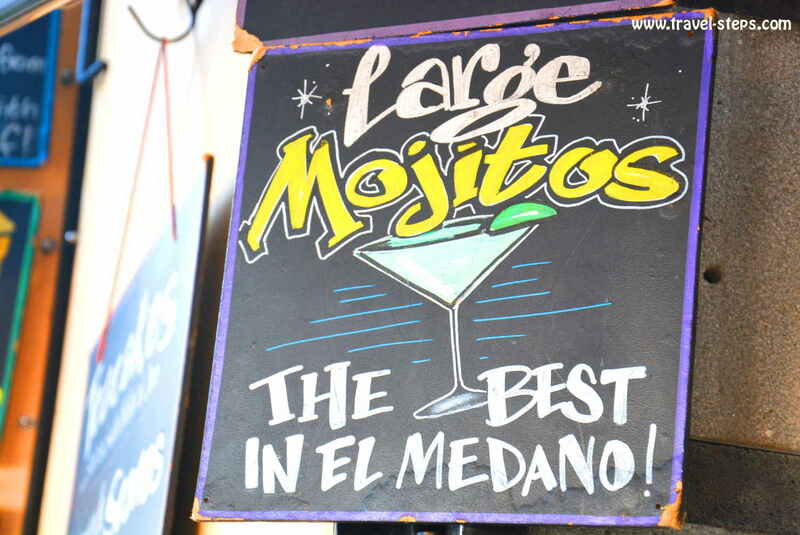 El Médano had a quite relaxed vibe, that we enjoyed a lot. It was also fun just sitting in a little beach bar with a drink watching people in the water. It is also a tourist place. But one of the nice places, where nice people seemed to mingle and to chill and where the concrete hotels are not as big as elsewhere. Take a traveler and force him for a week to stay at Las Americas: Hopefully, he won’t be traumatized for life. Just joking. But It clearly is an artificially created tourist world. Some might seek for exactly this place, others will complain about the atmosphere of mass tourism. Las Americas is clean, full of happy hour bars, fast food chains, big concrete hotels and fancy restaurants. 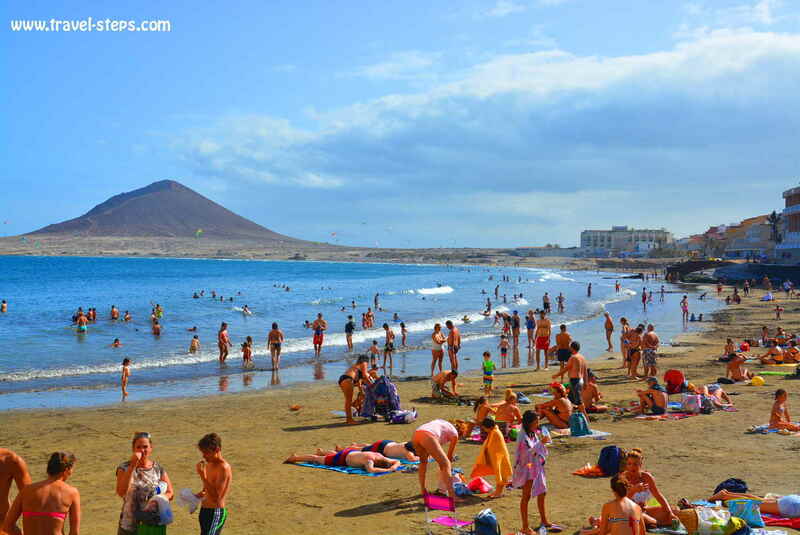 A pizza will probably cost twice as much at the beach in Las Americas as in Puerto de la Cruz. The whole place is set up for tourists. Las Americas, Las Christianos: You want to see it once. But you don’t really want to spent your time there in case you are more interested in individual traveling. My personal opinion: It’s dead and without atmosphere. If you don’t care about your surrounding and just want to chill at the beach reading and relaxing or look for party, it might be okay as the beaches are made up with white sand shipped over from the Sahara. Since a few years, this is the real tourist hot spot of the Canary Islands and the reason, why some of the hotels in Puerto de la Cruz seem to be empty. The beaches are really inviting. But if you want to feel the heart of the Canary Islands, I didn’t feel it beating there. Tenerife is an easygoing fun holiday destination. Traveler’s can expect a chilled out time and relatively good prices in the more local authentic locations, great infrastructure and friendly people with mostly good English skills. It’s not known as a party destination, but offers postcard like scenery, great hiking opportunities and enough activities not to get bored within a week. More places, that are worth a visit are for sure La Laguna, La Orotava and also Candelaria. Tenerife is probably not the place to experience crazy adventures and to make your heart beat fast (well, it always depends on yourself). But it is a cool place to discover with warm temperatures almost all year round.